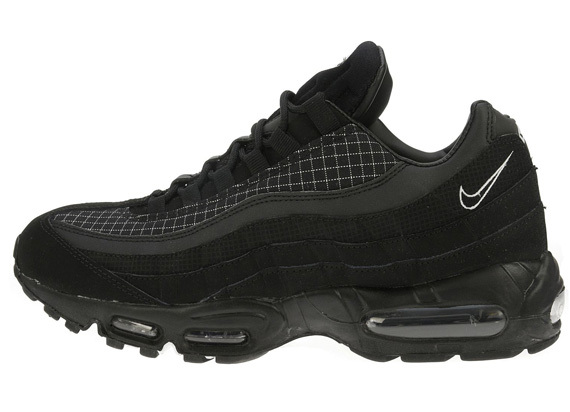 JD Sports releases yet another impressive make-up of the Nike Air Max '95. 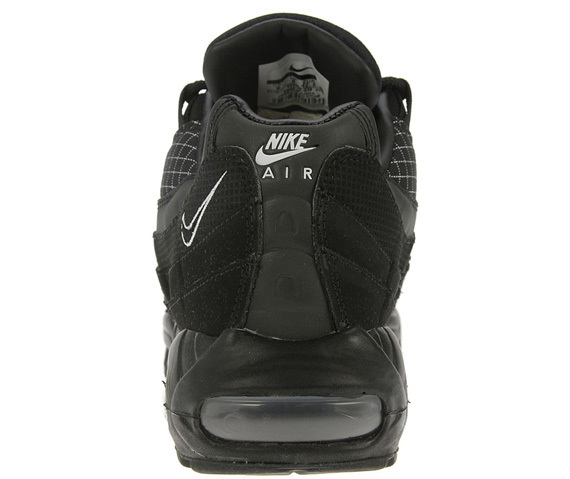 JD Sports continues to exceed our expectations with yet another clean make up of the Air Max '95. 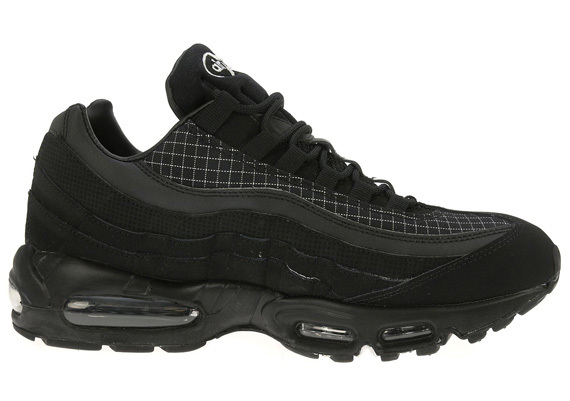 Although they're as simple as possible working in all black, JD Sports' selection of materials and patterns are what make these just as impressive as their past work with Nike. 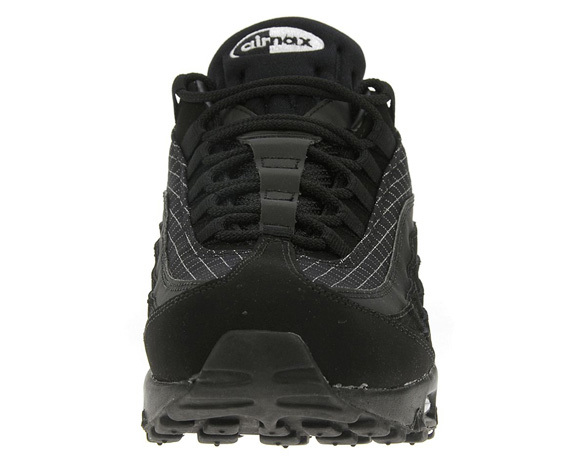 Black nubuck works most of the upper, with a grid-pattern taking place along the upper. 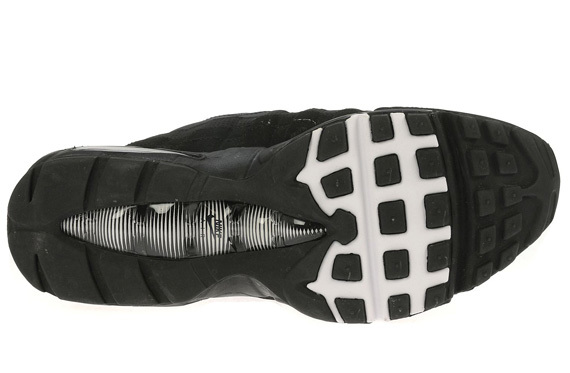 White works the Swoosh outline and branding throughout, adding a nice touch to the overall look. 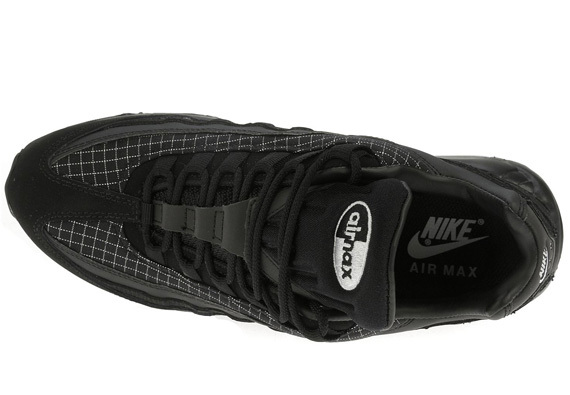 This latest release of the Air Max '95 is now avaiable for purchase from overseas retailer JD Sports.